The ministries of emergency situations (MChS) of Russia and Tatarstan will increase their rotorcraft fleets. They are to receive four Mil Mi-8MTB-1s from Russian Helicopters by the end of the year. Three of these will go to the Russian federal agency and Tatarstan will receive just one of the type. The new aircraft are equipped with additional fuel tanks to increase flight range, while also being fitted with all the necessary equipment to carry out firefighting, rescue, and medevac missions in all weather conditions. A rescue hoist with a carrying capacity of 300 kg will also be installed on board, as well as a cargo hook that can handle up to four tones. Last year, the federal ministry received one new aircraft of this type. 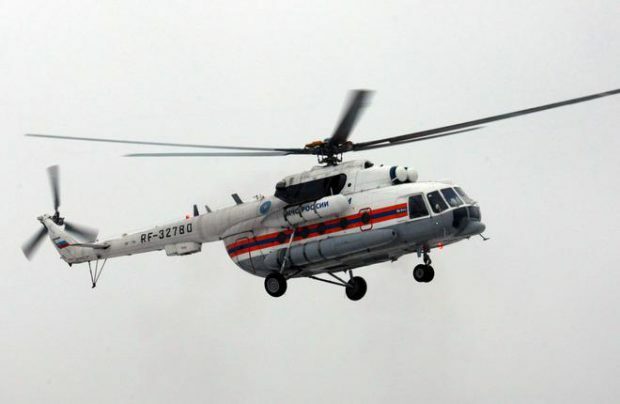 The Mi-8 family is expoited the most within the ministry’s fleet, reaching a rate of 195 flight hours per year. Another Russian-made rotorcraft takes second place in the fleet, the Ka-32, at 140 hours per year, and third is Mi-26, with 120 hours per year. Two other types of helicopters, the foreign-produced Bo-105 and BK-117, have a flying time in the ministry’s fleet at 90 hours per year.